The Certified Financial Modeling Specialist (CFMS) is a professional certification tailored to fit the schedules of busy professionals. With our 100% online learning platform and multimedia study materials; this program provides participants with our easy-to-access and revolutionary training platform. This platform includes audio interviews with industry experts, instructional videos covering the best practices, fundamentals and insights. We are training tomorrow’s business leaders today. Participants review and understand basic concepts of accounting and finance to learn how to work with better assumptions and parameters. Similarly, participants are exposed to the modeling instinct and other necessary skills required in a rapidly changing industry. Select your payment option to begin your Certified Financial Modeling Specialist course today. PLEASE BE ADVISED YOU WILL NOT RECEIVED RESULTS OF YOUR EXAM UNTIL ALL MONTHLY PAYMENTS HAVE BEEN COMPLETED IN FULL. Advance your financial modeling career by raising your level of financial modeling knowledge and increasing your ability to work quickly and effectively. Specialized knowledge is valuable and an asset in our knowledge economy. Mastering the construction of financial models allows you to work more efficiently than your competitors. Lifetime access to tools and multimedia training resources found online within the (CFMS) Certification Program. Add the (CFMS) Designation to your resume, assuring employers that you are dedicated to working in the industry, focused on learning more about financial modeling and able to work more efficiently after being promoted or hired. Speak the financial modeling language – Earning the CFMS Designation assures that you can attend conferences, interviews and other networking events while being able to contribute to conversations and understand discussions about current events or trends within the industry. Our program will help you to understand the terms and implement the tactics and tools of leading financial modeling professionals. Completed challenging financial modeling training and certification program which required a strategic project and covered financial modeling terms, strategies, modeling techniques, and best practices. Obtained a ___% on the two-hour comprehensive examination on financial modeling which included 80 multiple choice questions and two essay questions. Are there weekly homework assignments, phone calls, or sessions that are scheduled at specific times? There are no weekly homework assignments, phone calls, or classes scheduled. In fact, the only set dates in our programs are the four exam dates that we offer each year. The program is entirely self-paced. 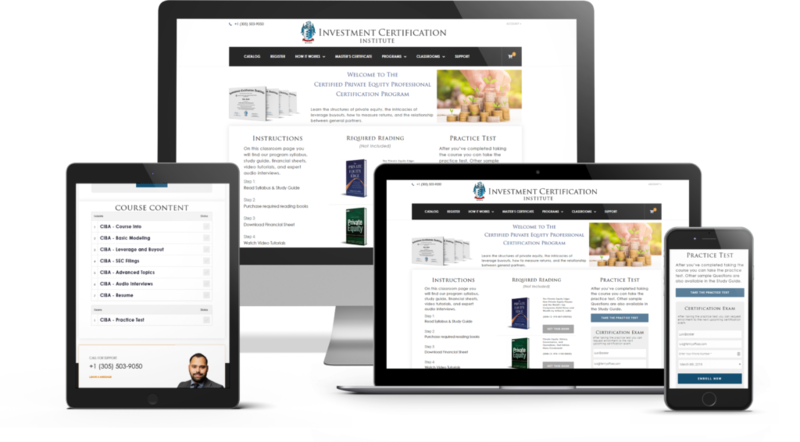 Once you have registered, you will be provided with login details to access our proprietary certification platform. After you’ve logged in, you will be able to watch the program’s video training modules, complete your strategic project (as laid out in the study guide), email our faculty with questions, complete the self-grading practice test, and schedule your online examination. Our examination is offered 100% online, which has allowed participants from over 40 countries to participate and complete our programs. How can I use this certification on my resume or bio after completing it? While you are enrolled in the program you can note that you are currently a candidate. For example, if taking the Certified Financial Modeling Specialist (CFMS) program, you can note on your resume or business profiles that you are a CFMS Candidate. After completing the program you are then able note that you are certified in this area on your resume, professional biography, Linkedin.com account, Facebook account, cover letters for job applications, etc. Contact us if you would like specialized sized images of the designation logo to place on your personal or social media website pages. Will becoming certified really help me in my career? We live in a knowledge-based economy. Our programs are geared toward very specific fields and skill sets to help you gain specialized knowledge within areas most critical to your success. Completing a certification program allows you to show others on your resume and bio that you are more well-trained and credible than other professionals in the industry. A recent study by Gartner also showed that certification programs increased compensation by 5-11% on average, and can boost your income by as much as 30-40% annually. When an employer or potential client is choosing between you and someone with very similar work experience and education, being certified is one more thing that will make you stand out from the crowd. Portfolio managers, analysts, and hedge fund managers looking to improve their ability to build their own financial models. 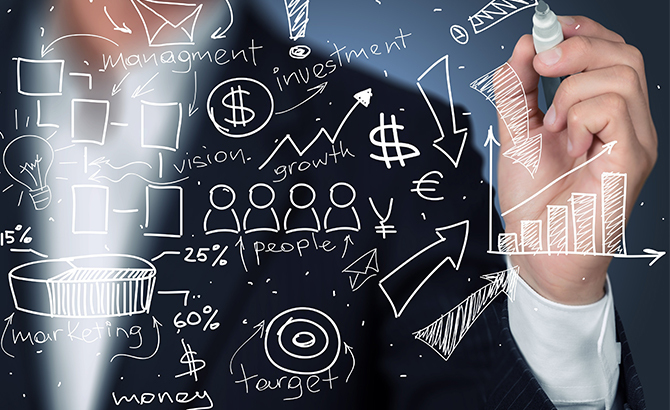 Financial professionals who want to better understand financial modeling. Students who are looking for continuing education opportunities. Seasoned professionals looking for professional self-improvement training to get further into the financial modeling space. Professionals who have just taken a position as part of a financial modeling team. FinanceTraining.com is operated by the Global Training & Certification (G.T.C.) Institute, LLC. We have trained and certified well over 3,000 participants and our platform provides the #1 most practical, challenging and globally relevant certification platform. The self-paced financial analyst training program is delivered through online lecture videos, an audio program, a workbook, and step-by-step screen capture tutorials. Our program requires one year of previous professional experience that is relevant. Over 70% of professionals who have completed this program in the past have also completed our hedge fund, private equity, investment banking, or financial analysis programs as well. 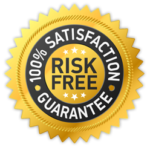 Guaranteed Value: We are so confident that you will greatly benefit from our career coaching, practical training modules, and resume improvement from completing our programs that we offer a 100% money back refund policy. If you change your mind about completing our programs for any reason at all within the first 7 weeks after registering just email us and you will get your full money back in 1 business day. Give us a test drive by registering today and you will see why over 3,000 participants like you have completed our training programs. There are no hidden fees, and everything but the required readings are covered by this single tuition payment, which is less expensive than a single University course. Copyright © 2009 – 2019 by G.T.C Institute.